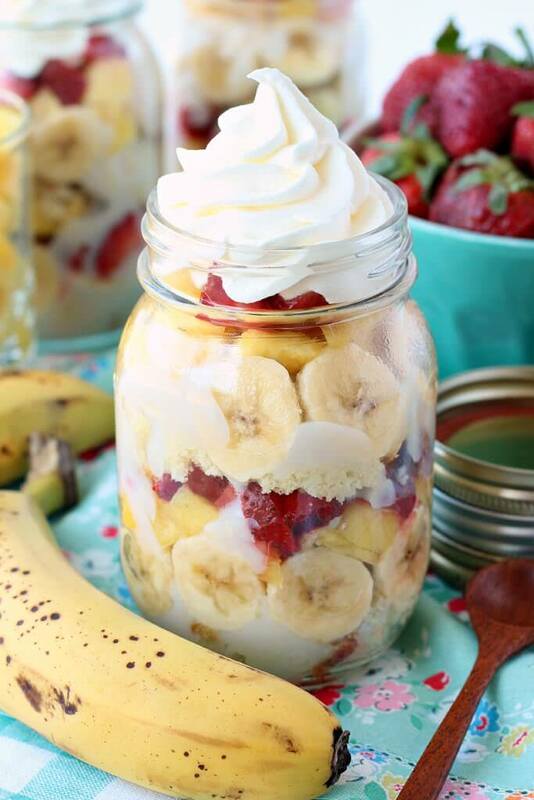 This Banana Split Dessert Trifle is layered with vanilla cake and homemade pudding, then loaded up with all of your favorite banana split toppings. 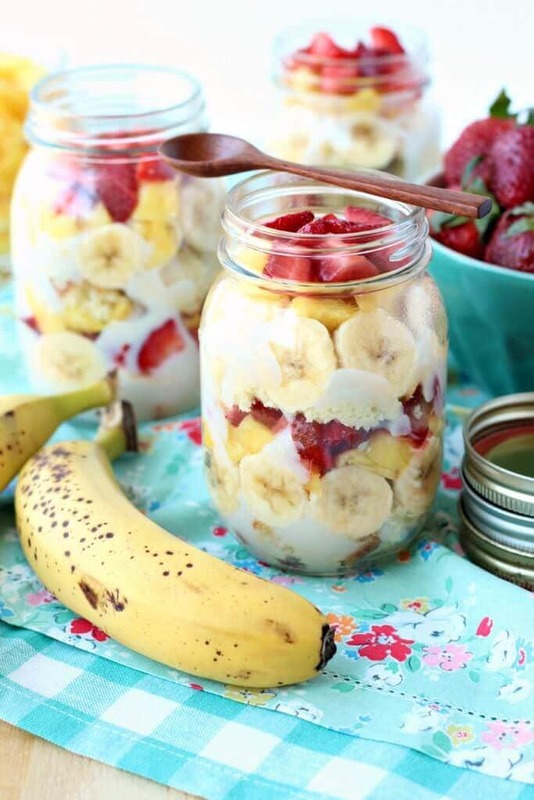 Make them in Mason Jars for a portable picnic treat or in a trifle bowl to serve a crowd! 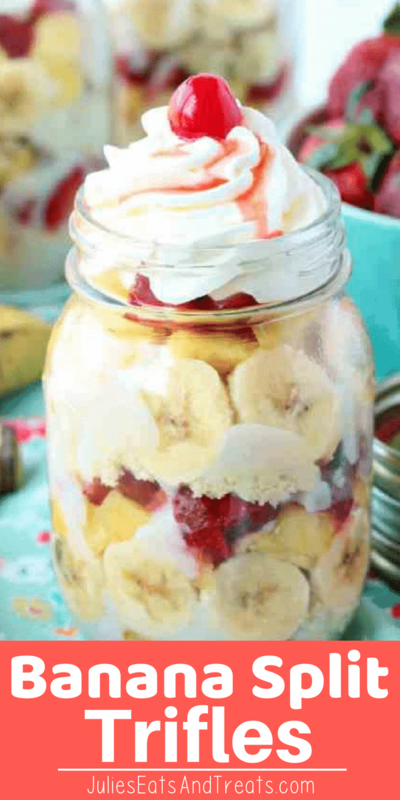 This Banana Split Dessert Trifle might just be my new favorite summer treat! 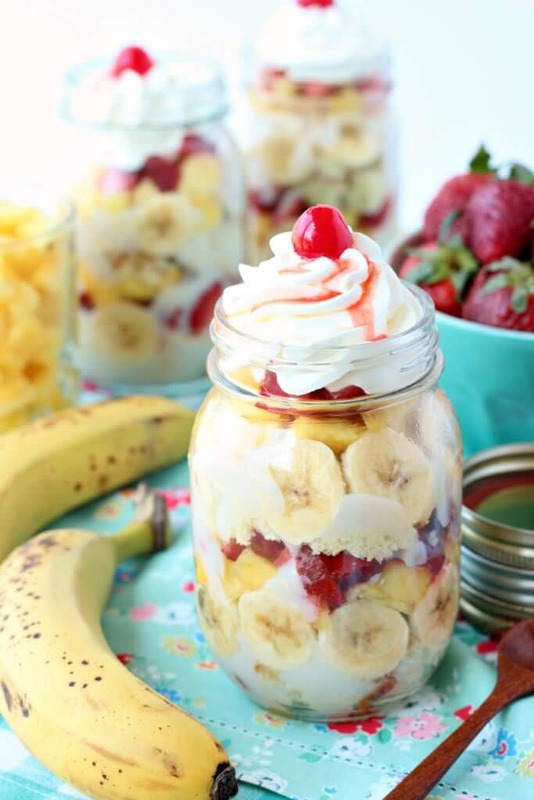 Think vanilla cake and homemade pudding layered with all of your favorite banana split toppings like pineapple, bananas, strawberries, whipped cream and you can’t forget the cherry on top. Plus, they are made in Mason Jars so they are even cute! Banana splits are definitely up there. Those Strawberry Shortcake ice cream bars? Definitely one of my faves. Forgive me while I sit here and fantasize about summer. We are so close here in Manitoba. I’m dreaming of long days sitting out on the deck watching my husband and 3 year old do yard work. I’m also dreaming of fresh fruits and veggies. I know, I know. There are some of you who have this luxury year-round. There are also some of you who claim that strawberry season starts in April, though I’m not sure I can believe you. Here, “strawberry season” is about 2 weeks long starting in early-mid July. That being said, the strawberries you can pick up at the store these days are so much better than the strawberries you can get in the middle of winter. I swear it’s like the strawberries were actually white, and they just spray-painted them red to make them look like they’re ripe. It’s something my mom made often we were growing up, but she usually made it the same way. Chocolate cake, chocolate pudding, cool whip, and Skor (Heath) bits. But I’ve been dreaming of summer flavors and simple treats. This definitely fits the bill! 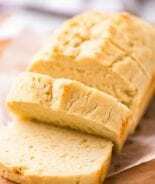 You can either use homemade vanilla cake (this is my favorite recipe! 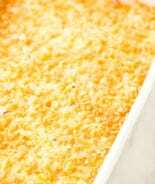 ), a prepared cake mix, or even a purchase vanilla cake (like a pound cake or angel food cake). You can either use homemade vanilla pudding, instant vanilla pudding mix, or even prepared purchased pudding cups. To substitute instant pudding, use 2 prepared 4 serving packages (8 servings total). You can either use fresh, chopped pineapple or canned pineapple tidbits or chunks. You can either use real whipped cream, or a tub of whipped topping. 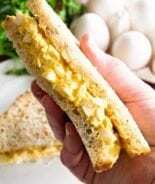 You can go the “Everything Homemade” route, and it will be amazing, but it will take a little time. 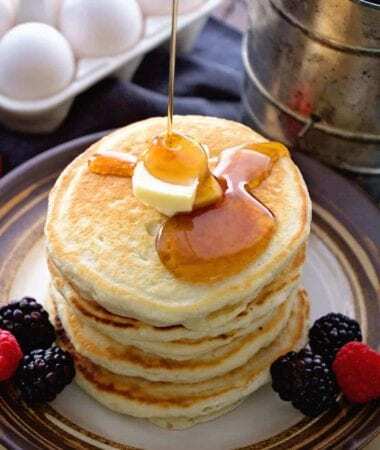 You can go the “Everything Quick and Easy” route, and it will be a super simple dessert that everyone will love and will leave you more time to enjoy the sun. Or you can find a happy medium: decide which parts you want to make from scratch and which ones you can compromise on! Once you peel and cut bananas they will start turning brown from the air. To prevent that I like to brush banana slices with lemon juice to prevent browning. You could also use pineapple juice! Any acidic fruit juice will work and keep them from browning. I also heard they even make a specialty banana that doesn’t brown when you cut it just for desserts like this! First make your vanilla cake and cool completely or buy one from the store already made! Next bring milk to a simmer in a large pot over medium-high heat, stirring often. This is important so you don’t scorch the milk. Combine sugar, corn starch, salt and vanilla in a medium sized bowl. When milk is nearly boiling, whisk in sugar mixture and continue to cook over medium heat, stirring constantly, until thickened. Stir in butter. Let pudding cool to room temperature. It will continue to thicken as it cools. Grab your Mason Jars or a large Trifle bowl. Layer trifle in this order: cake, bananas, pudding (cooled to room temperature), pineapple, strawberries. Then repeat it so you have two layers. Top it with whipped cream and cherries. Chill until ready to serve the dessert trifle. You can store it in the refrigerator for a couple days, but I wouldn’t leave it to long because you want your fruit as fresh as possible. 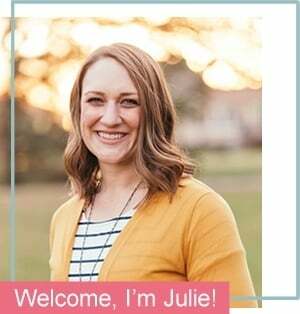 Either way, there’s no reason not to add this to your summer barbecue menu – it’s packed with fresh flavor, and can even be a no-bake dessert if you use purchased cake (or if you’re like me and always have a bunch of cake cubes in the freezer!). as in the pictures, screw on the lids and it’s a perfectly portable picnic dessert! 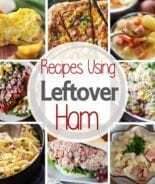 *You can add more or less of anything, according to your tastes and the number of servings you require. These are not hard and fast measurements! In a large pot, bring milk to a simmer over medium-high heat, stirring often (you don’t want the milk to scorch). In a medium bowl, combine sugar, corn starch, salt, and vanilla. When milk is nearly boiling, whisk in the sugar mixture and continue cooking over medium heat, stirring constantly, until thickened. Stir in butter. The pudding will continue to thicken as it cools. Set aside to cool to room temperature. Layer trifle in this order: cake, bananas, pudding (cooled to room temperature), pineapple, strawberries. I like to do 2 layers of this, then top with whipped cream and cherries – you can obviously adjust to your tastes! Chill until ready to serve. You can store in the refrigerator for a couple days if you need to, but I wouldn’t leave it too long because you want your fruit as fresh as possible. *When making trifle, I like to work with the pudding before it’s chilled and set, this way it sinks into the cake layer more. *I like to brush banana slices with lemon juice to prevent browning. You could also use pineapple juice! Looking for a no-bake treat for summer? 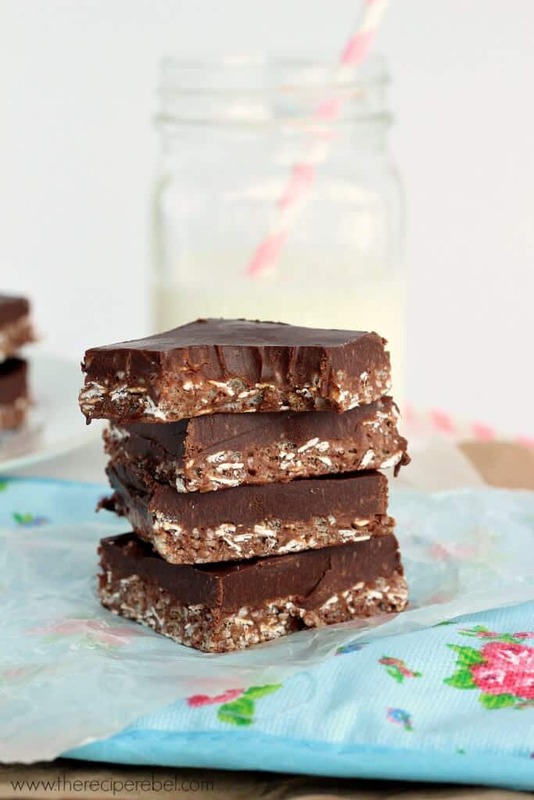 Try these No-Bake Crunch Bars! 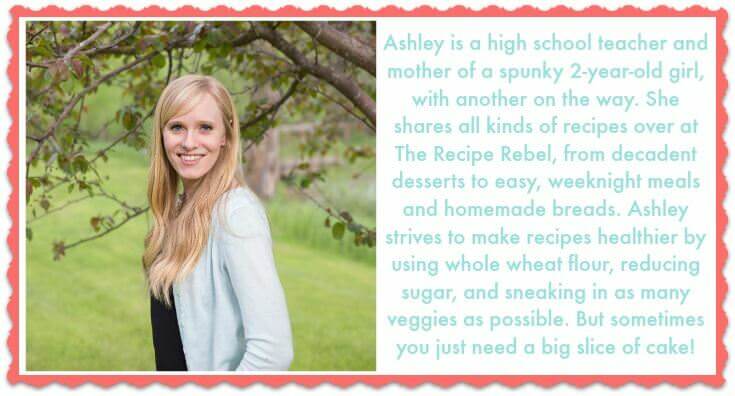 I love Ashley’s blog and love seeing her here with these gorgeous trifles!!! love and must make these soon!!! 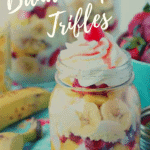 These trifles are just beautiful, Ashley! Wish I had one right now! They’re the perfect summer treat! These look SO fun!! A great spin on banana split ice cream!! 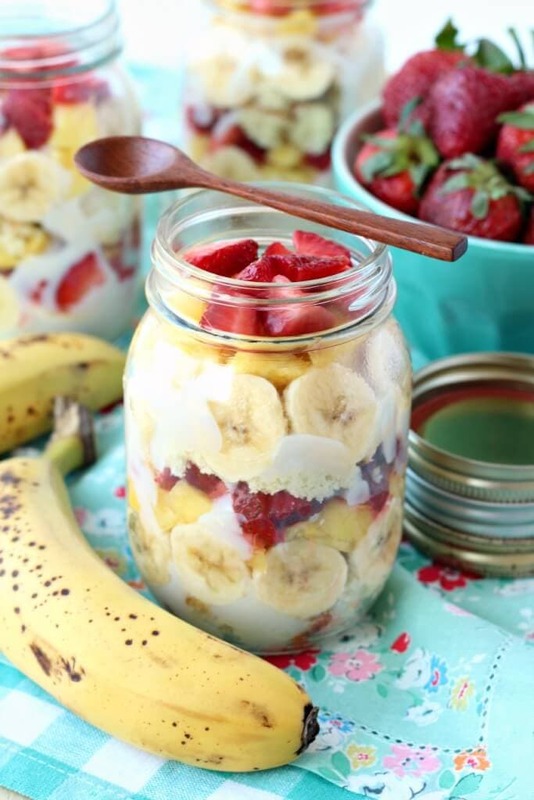 Banana split in a jar sound perfect to me! 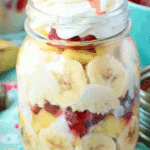 Banana Split’s have to be one of my all time favourite of classic desserts so I love how you have inventively turned it into trifle form. Yum! 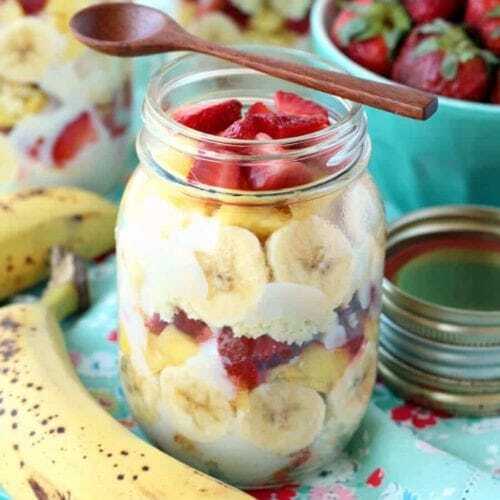 I love banana split and in a jar looks perfect. 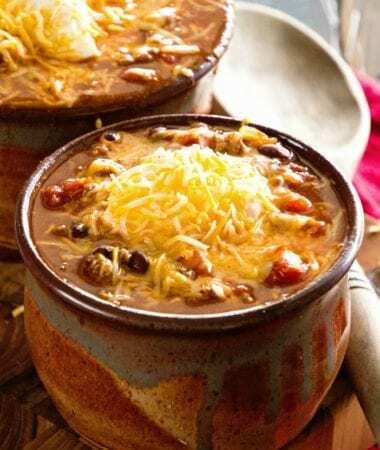 I normally save my own experiments for entertaining, but these are so gorgeous, I think the next time we have people over for supper, we’ll do these! Cute and cheerful! Had to share this wonderful and simple recipe on my blog “Our Front Porch”! Just loved it! Awesome Job! Seriously gorgeous trifles here!! Love! Love this! I love making trifles.. But what a great idea to make in the mason jars! Will definitely be in my next summer picnic basket! Such a simple delicious dessert too and gets those fruits in! Awesome! Thanks! What the heck is the butter for? A measurement was given, but no instructions on where to add it. Stir it into the pudding at the end. Sorry! 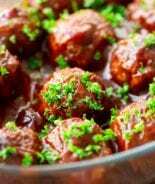 Recipe has been updated.